Superlative awards are supposed to be a funny way to acknowledge students for their personalities, talents, or other nonacademic achievements. A middle school in Georgia has illustrated how they can also be hurtful, after awarding “Most Likely to ‘Not Pay Attention’” to an eighth-grade girl who has been diagnosed with ADHD. “I feel like it was very derogatory, I feel like it was humiliating, and this was held as an assembly with the school,” the girl’s mother, Nicole Edwards, told Fox 5 News in Washington, D.C. According to Edwards, the original award her daughter won was “most likely to ask a question that has already been answered,” which doesn’t sound much better. The response from Memorial Middle School and Rockdale County Public Schools was swift, as spokesperson Cindy Ball told Fox 5 that two teachers involved with the awards will not be returning to the school district. “I can assure you that Rockdale County Public Schools will not condone anything that may cause student embarrassment or humiliation,” read a statement to the network. Judging by the response this story is receiving on Reddit, Edwards’s daughter is not alone. People with ADHD, as well as those with other unseen disorders, are frequently the subject of teasing by their peers and teachers, who sometimes don’t even realize how damaging their words can be. The Reddit thread brought up painful memories for some users. “ADHD here, I got the school award for ‘most unlikely to finish high school,’” pseudo gamer said. While some commenters thought the award was just a joke that the student’s mother took too seriously, those who had been through this experience in childhood disagreed. ADHD often comes with concurrent issues, such as anxiety and depression, which aren’t likely to help the recipient of such an award see the humor behind it. Instead, she can feel further isolated and misunderstood. 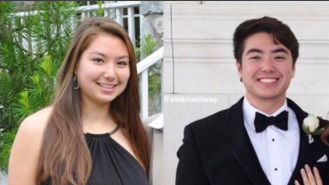 What’s Really Going On With Missing Teens in D.C.
A transgender swimmer for Harvard shares an inspiring before-and-after transformation photo of himself.